Greetings! Back from another interesting conference, this one packed a whallop and I mean that in a good way. The show? 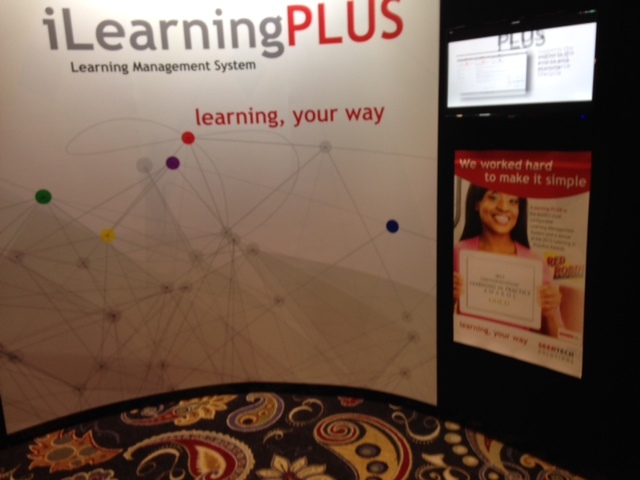 DevLearn. The location: Las Vegas, NV. The result? Wowsa-Rama!! For those of you unaware of DevLearn, the show has been around for years and is one of e-learning guild’s premier shows in my opinion. To me the show is geared more towards those folks who are building courses (either by choice or not), instructional designers, e-learning developers and those seeking new e-learning tools to make their ability to build content more desirable and effective. While there were LMS vendors present, this is a show more suited for authoring tool vendors, e-learning tool vendors and vendors who enhance or increase engagement in courses or content. Feedback I heard from various attendees was that the sessions overall were good. I only attended a couple besides the one I presented in, and found the information useful. If you ever have the opportunity to hear Debbie Richards, I recommend you do. Debbie is extremely knowledgeable and her toolbox which she presents always contains useful and new tools. Apparently, my foot scooter went over big at the show. At least four people told me they loved it and deep down I know at least one person wanted to take it for a spin. That said, the scooter did cause some challenges, especially in presenting and as such, will not be making its debut in London. Sorry to disappoint. Seriously though, as a result of the broken bones in my foot and use of such scooter, I did not attend as many sessions as I wanted, but was able to stop by and take a deeper dive at many products. Before I get into the expo, anyone who reads my reviews, knows I always provide feedback on various items. Well organized. I’ve attended this show several times and this by far was the most and well organized it has ever been. The app was much better, but their method for acquiring points (it had a gamification component) was strange. I mean in a few hours, someone had like over 2,000 points – which when you consider you get points for tweet posts, photos, comments – I just don’t see how that is possible. A couple other attendees said the same thing. Anyway, I still loved the gamification angle and what they were trying to do in terms of engagement. I did like that they have water in several areas at the expo, where you could go and get a drink when you wanted. Simple, but it worked. Expo guide – They went old school with xeroxed copies rather than a soft cover book and honestly I had no issue with that. This guide was easier to travel with than a heavy guide, which once you return back to your hotel may end up in the garbage anyway. Personally, I would rather see the whole thing in my app, and have that geolocation in the app (which no one does) to help out. A wedding reception was in the same corridor as the DevLearn event. Granted it was a separate room, but it was wild to see people after their wedding walking in the same hallway as attendees going to the expo or sessions. I found it eerily odd and yeah, only in Vegas. This year’s expo featured everything you could want in terms of hits and misses and best of all this year, I tried to capture it all with photos and videos. And thanks to the darn foot scooter, my ability was limited with action shots. Knowledge search using keywords, phrases in a box to show how to go step by step, in my example it was down with Salesforce.com. 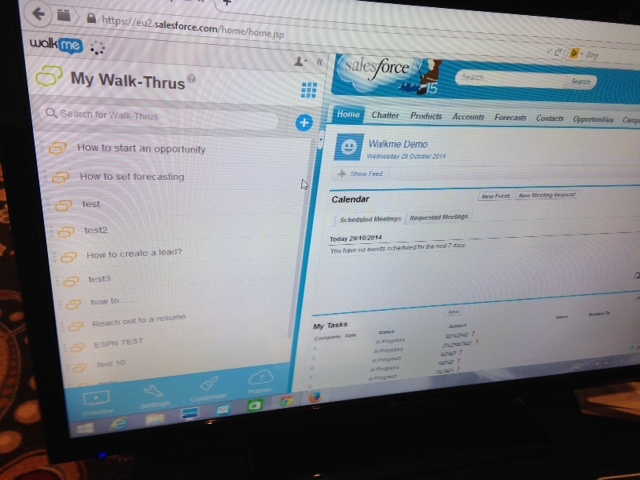 You click on the WalkMe icon and the box popped up. Next I typed in pricing and several suggestions came up below. I selected the one of interest and it went right to that screen. Then I followed the steps. Easy and very effective. Bookmarking capability. You leave the spot where you are at, come back whenever and it starts from there. I also liked that within the real time tutorial it had me, as the learner, entering in the info, rather than just a watch the product do it and I do nothing. Add some code to your web site and whalla you are ready to go. They will add it for you if you want. For the My-Walk Throughs option (see screen shot), that exact box on the left side of the screen is available only as a Firefox extension. However, the rest of the product and all the other stuff listed above will work in any browser. 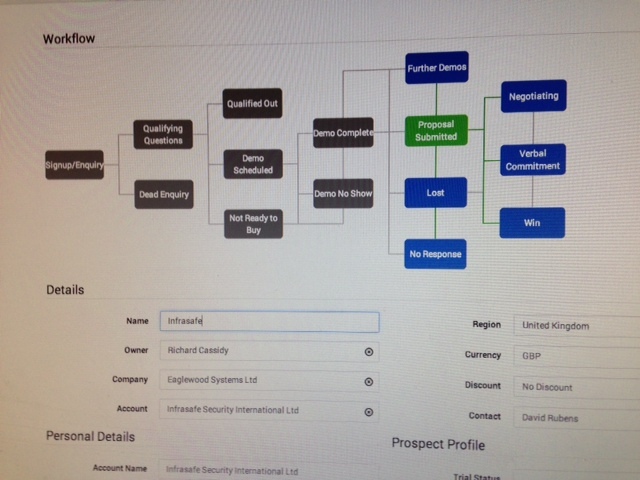 If I was using an online ERP platform, HRIS, Salesforce.com for example, this would be a must product. How impressed was I of the product? Not only would I use it, but was totally impressed with it. Hands down, product of the show. Moxtra – I never did see the product because the vendor only had a booth with the name of the offering on it, their material was their name of the product with a tag line and whenever I stopped by the guy was talking to a potential customer. So on one hand that was good to see, but on the other hand – always SHOW THE PRODUCT. even if it is a demo. And BTW, they were not the only ones to NOT SHOW their product, it happened a lot. Obsidian – They build custom interactive content, but they are in the process (i.e. 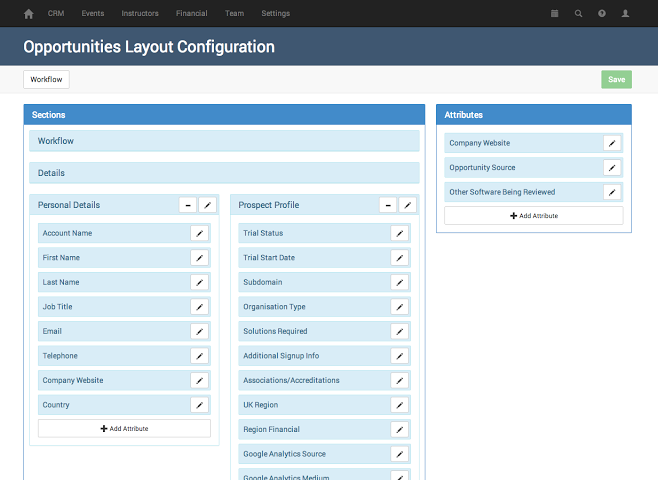 working on) building and launching Obsidian Black, a new HTML5 authoring tool. What I saw was intriguing, it is in alpha stage. One item I did not like was that at least at this point, they don’t believe in responsive for mobile. Rather they are in favor of a one size player – smaller for sure, that will work with any screen size, but does not conform to that screen size. Not a fan of that. Nor of the captions section. Forio – I am very intrigued with this solution and will see a demo in the next two weeks. The premise of a sim authoring platform that comes with pre-built sims and you get to build your own at a more affordable price that other sim platform, well that is enough to make me say, “show me!”. What I was able to see, only wanted me to see more – and I will – and report back. iSpring – I have iSpring Pro as a better product that Articulate Studio. They just push out advanced features faster than Articulate and if you are seeking a product that does a better job and is about several hundred dollars less than Studio, take a look. Top 10 AT for 2014. Without going into a major diatribe about the products that missed, I’d rather just go with a few fast statements. Grovo – The solution is more of a micro learning platform, as in a catalog of micro courses inc. videos, and assessments on various areas. You can also create assignments, assign folks and have some analytics. What bothered me the most about Grovo was what didn’t happen. The Grovo booth was massive in size and right there upon entering the expo. My issue ran into what they did not do. Well, I started to dive around and take a look on the screen and during that time on the other side of where I was testing, no more than 14 inches from the back of the screen, three salespeople were talking to themselves. Rather than see if I had any questions or if I needed any info, they just kept on talking. I actually looked directly at them and was ignored. Seertech Solutions – What you are seeing in the picture is what I saw, which was the booth, a brochure (not visible) and no human beings. This I might add was during a busy time of folks walking around, which made this all more strange. I can only surmise that the solution includes an invisible guard which makes the salespeople invisible to other people. Dash and Thomson – I had to read their synopsis in the expo guide to understand what they did, because their booth gave you ZERO clue. I asked others walking by and they said they had no idea either (prior to my reading). Listen, I am a huge fan of hip marketing and design, but you to still give people an idea on what you do or what is your product – and if you miss that, well.. as one person said to me, “maybe they sell dogs”. 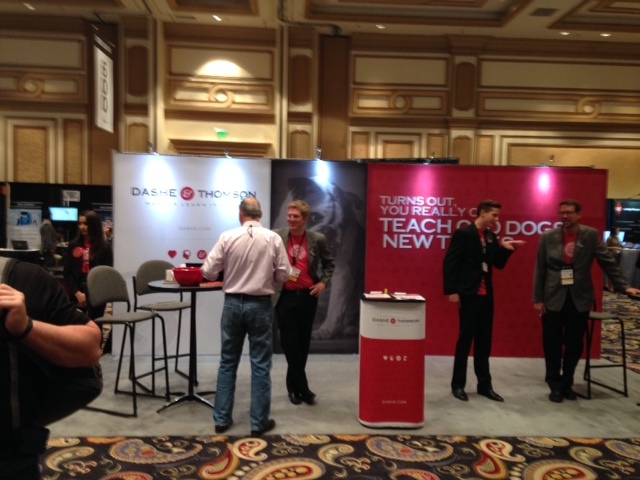 DevLearn 2014 had everything you could want or find in a Vegas event. From excitement, cheering and clapping to failure, missed opportunities and unfilled dreams. Yep it had it all. Thanks for the latest post Craig. 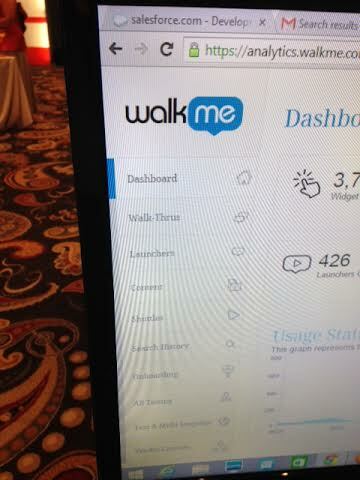 And thanks for drawing our attention to WalkMe â it looks like a great product and very attractive to SaaS providers. I wanted to reply back to see if you have any view of the price model that WalkMe use? The website has a try-for-free plan and then itâs ârequest a quoteâ, which I have done and now await their call. Thanks for the shoutout! Your session was great – I am going to check out the Top 10 products you recommended. Great summary and review. Thank you for input. Would love to talk more about the tools. Man o man, I hope to be able to put this on my calendar for next year.